Join Alexander Stephens from Bouygues UK as he talks about ‘Additive Manufacturing in Construction’. This webinar will provide a more holistic overview of Additive Manufacture as a whole and showcase projects, which are currently using the technology today. Alex will examine the feasibility and use of Additive Manufacturing technologies in construction through literature review and case study. 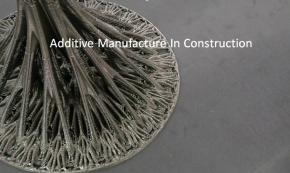 He will provide an overview of additive manufacture’s current state of art and the benefits it can bring to the architect, designer and contractor. Alongside this, he will highlight technical limitations that are preventing its use in projects today.